edit: did anyone actually ever read these? Mod edit: yes. So why did you choose to remove them? And mods, how about making this sticky? Done. I'll post the Cabrini article soon. Remind me if I forget. Thanks once again. int: And yes, Cabrini played for Bologna between 89 and 91.
nah, nothing that insightful, too shallow for my taste. Thanks anyway. ...umm, could anyone give me some vCash so I could change my text just below my username? And now back to business. I know that an article of Scirea is already there, but I thought that other one wouldn't hurt? This time I'm writing about a man that was respected by everyone, including the opponent's players and fans. At 80's Juve was full of stars. Although there were players such as Bettega, Zoff, Tardelli, Platini, Brady, Boniek, Gentile and Furino, just to mention a few of them, there was one above of everyone else. Gaetano Scirea, a name that is a synonyme for a word 'legendary'. He was born at 25th of May at a village called Cernusco sul Naviglio, just few miles from Milan. A year 1982 was probably the most significant of Scirea's career. Then he won his fifth scudetto with the zebra-shirts and was naturally selected by coach Bearzot for the World Cup. In the games Scirea was one of the best if not the best of players. Along with Zoff, Gentile, Cabrini, Collovati and in the end Bergomi, they formed maybe the best of the defensive lineups in the history of the World Cup. Italy's team snuffed everyone else, and in the end Scirea & co. got to lift the trophy. They earned it. Scirea played fourteen seasons for Juve, wearing number six from the start until the end. Scirea is remembered all over Italy and footballing world as a gentleman, as a player who never got booked (with Juve) along his long career. Not getting even a warning is an increble accomplishment itself, specially when we are talking about a defender. His role at the back of the field brought new dimensions to the game, he read the game better than everyone else, which can be proved just by looking at his stats with bookings. He had a great technique which made him capable of decisive passes and scoring. He was a leader with capital L and possesed a bucket full of charisma, which naturally lead him to be a captain of both, Juve and the national team. He was the one that grabbed the microfone during Heysel's catastrophe and tryed to calm people dow. Perhaps that incident and the true unselfishness that he proved along his life described Scirea's one of a kind personality, elegant and stylish gentleman that truly was contributed much to this world. Along with the Azzurri Scirea got his World Cup, and with his beloved Juventus he won practically everything else. During his victorious career he won seven scudetti, two Italian cups, Intercontinental Cup and the European cup. During his career he played for 552 games for Juve while scoring 32 times. That made him the most capped player in the long history of Juve. He also capped 78 times for Italy and made two goals for them. Luckily the most important ones never die. You can still hear chants dedicated to Scirea and see the banners made for his honour by Juve-fans. The sacred place for the most dedicated fans, the curva of Delle Alpi wasn't named for Scirea for nothing. Nowadays everyone, the fans, the opponents and the friends that played with him can only try to gasp the memories of that legend of all legends that for everyone's misfortune past away for the heavenly playing fields at the young age of 36 leaving a hole behind him that can never be replaced. Thank you for everything Gaetano, rest in peace. The words can never describe good enough how important you were for Juventus. Your memory shall never die. I published this on Xtratime while the forum was down, but it's worth copying over. Former Juve Liam Brady turned 50 recently. An Irish newspaper published a big piece on him. ASK yourself where you were on 6 September 1989. When Liam Brady was substituted after little more than a half hour against West Germany. When Lansdowne Road stopped for a few seconds to absorb the significance. When two opposites of the Irish game collided. For devotees of elegance, perception and skill, it was as if someone had pointed out a rare flower to Jack Charlton, and he had crushed it underfoot. If Charlton hadn't already been embraced both by the national team's supporters who had travelled wide-eyed to the previous year's European Championship finals, and by a largely benign media, his decision would have been tantamount to heresy. Because this wasn't just another player walking the lonely walk. This was Liam Brady. A legend at Arsenal when he was in his early 20s, a playmaker who masterminded two Serie A titles when Juventus were the best team in the best league in the world, a beam of light when Ireland were all too often in the dark, a cerebral midfielder who once scored the winning goal against Brazil. When Brady put his left foot on the ball and glanced up, it was as if time stood still. There were harsh words in the dressing room at half-time. He told Charlton in no uncertain terms what he thought of him, and Frank Stapleton had to intervene in an effort to defuse the situation, "Hold on, hold on, there's a game to be played here." Stapleton was right, and the game continued as it inevitably does, but for Brady it was over, and he immediately announced his international retirement. His nemesis would inherit Ireland's new football kingdom. Tomorrow, Brady, his family and some close friends, will gather at an Italian restaurant near his home in Brighton to mark his 50th birthday. When you're as steeped in the game as he is, and when you run Arsenal's youth development programme, there is no escape from talk of football. But take it that the conversation will also range over his passions for national hunt racing . . . he's one of the owners of Cerium who goes in next month's Arkle Chase at Cheltenham . . . and for golf. Take it as well that Jack Charlton won't be on the agenda. "No, he won't. Look, if Jack wanted me out of the way, and if he stage-managed the situation by subbing me against West Germany, then it was diabolical. But that's in the past, and anyway, it's important to remember that I played some of my best football for Ireland under Jack. I admired him as a manager, he was decisive, he had a plan, he could handle pressure. "Admittedly, there was no chemistry between us, and his style of football was completely alien to the way I believe the game should be played. But, no, I don't blame Jack for what he did, because that's just the way he is. I'm not sure he showed anyone any respect, but he got results that hadn't been achieved before. The players were desperate to get to major finals, and he led them." Looking at Brady now, less intense than the slight, but commanding, figure who could fillet a defence with one stroke of that left foot, and much less intense than the gaunt manager who prowled the touchline at Celtic Park, it's hard to figure him for a rebel. Yet he reminds you that he walked out on Arsenal after just six months. He had crossed a line with one of the coaches who then kept him back a couple of evenings a week from six to eight o'clock to clean the dressing rooms. So he came home that Christmas in 1971 and vowed not to return. "It wasn't as if I'd been sent back to Dublin because they had doubts over my ability. I'd kind of rebelled against the regime, rebelled against the excessive discipline by this one guy." Like David O'Leary and Stapleton, and the other Arsenal kids with their dreams, he was homesick, but unlike the other kids, his football education was already more sophisticated. His great uncle Frank had played for Ireland in the 1920s, his older brothers Pat and Ray were with Millwall and QPR respectively, while another brother Frank played for Shamrock Rovers. The day before Ray lined out for Ireland against Austria in a European Nations Cup game, he brought Charlie Hurley up to the family home on Glenshesk Road in Whitehall. "It caused a major buzz around the place, all the kids were there knocking on the door. I was about seven or eight, I was awestruck, and that's when I really remember becoming obsessed with the whole thing. Later, I used to play every Saturday for St Kevin's Boys and then go to watch League of Ireland on a Sunday. "I was good, and I knew I was good, well, because you just know you are. I was confident, I had the whole thing mapped out in my head. I'd be in the first team at Arsenal when I was 18, and then I'd play for Ireland. Very confident, no doubts about myself." Later, Ray Treacy would remember looking at the teenager on the morning of his international debut against the Soviet Union in 1974 and thinking that he had lost his bottle. "I was nervous alright, but I think they were good nerves, " Brady says. "I could sense a great belief in John Giles among the players. He'd changed the mindset when he got the manager's job, the inferiority complex had gone. We crucified them. We were aggressive . . . guys like Don Givens and Treacy, not me obviously . . . and we played some great football as well. That combination of confidence and a rebellious streak served him well as he became the leader of Arsenal's young orchestra. It helped him to acclimatise and then flourish in the demanding arena of the Italian game, and it surfaced again when Charlton grabbed the international team by the scruff of the neck. During the qualifying campaign for the 1988 European finals, Charlton was trying to impose himself, to build a new side in his image, and Brady quickly sensed he was being picked reluctantly. "He couldn't leave me out because I was playing well, but I probably didn't do myself any favours. I accepted that I had to go along with what he wanted for the most part, yet I didn't toe the line completely. I might pass the ball near the edge of the box and he'd be shouting 'Get the ball up the effing pitch', and I'd pretend I didn't hear. It was that bit of rebellion that wouldn't allow me do it totally his way." He elbowed a Bulgarian player in the 2-0 win at Lansdowne Road and was sent off. That appeared to be that. Brady was 32, Bulgaria would do what they had to do to reach the finals in their last game against Scotland, and Ireland would be out. On the day of the BulgariaScotland match he was playing golf with Pat Jennings at South Herts outside London, and when they got back to the clubhouse, the barman had this strange look on his face. "You won't believe it, Scotland won 1-0. You're going to the European Championships." Before anything else, he had to get on to the FAI about the four-match ban he had been handed by Uefa following the sending-off. He was told not to worry, an appeal was being sorted out, but he still contacted Giampiero Boniperti, the Juventus chairman, as well as the shipping magnate and owner of Sampdoria, Paolo Mantovani, to see if they could pull a few strings within Uefa. Later, he travelled to Zurich for the appeal hearing with an FAI delegation which included the association's president at the time, Pat O'Brien, as well as Des Casey. "Pat was a lovely man, but he had a really strong Cork accent and in all honesty, I'd trouble understanding him, " Brady remembers. "Anyway, we go into this room with several Uefa officials from different countries and there were booths at the back of the room for the translators. Pat opens up our appeal and I wasn't too sure what he was saying, and I could see the translators shaking their heads and shrugging their shoulders. Now I'm laughing to myself and thinking, 'I've got no chance here'." As it happened, the FAI got the best result in the circumstances and Brady's suspension was reduced to two games, but then a cruciate ligament injury cost him the chance of playing in a firstever finals tournament after 14 years. He limped through Germany, revelling in the team's performances, and probably had the most difficult job of all when Charlton asked him to get the players to bed after the 1-0 win over England in Stuttgart. His work as a TV commentator at Italia '90 was a prelude to a sideline which has seen him become one of RTE's most prized analysts alongside Eamon Dunphy and Giles. "Eamon acts in haste and never repents at leisure, " he says, "but it's rarely boring when he's around." After the 0-0 draw against Egypt in Palermo when Ireland performed poorly and when no one appeared to have a clue how to break down the Egyptian defence, Charlton approached Brady in the team hotel where he was a having a beer with some of the players. "Could've done with you tonight, " he said. A few minutes later, he was back at the table. "Only when you were at your best, mind." That was Charlton. He would say something generous, and then once he realised it might have seemed like a sign of weakness, he had to qualify it. For a year I had lived with the possibility of Liam Brady's transfer to another club in the same way that, in the late '50s and early '60s, American teenagers had lived with the possibility of the impending Apocalypse. I knew it would happen, yet, even so, I allowed myself to hope f I had never felt so intensely about an Arsenal player: for five years he was the focus of the team. Liam Brady was one of the best two or three passers of the last 20 years, and this in itself was why he was revered by every single Arsenal fan. Nick Hornby, 'Fever Pitch' Brady, Stapleton, O'Leary and Graham Rix were the backbone of the Arsenal side of the late 1970s. Three FA Cup finals in a row, and one, sandwiched in the middle, a neverto-be-forgotten 3-2 win over Manchester United. A Cup Winners' Cup final as well, but no European silverware as Valencia came through after a penalty shoot-out. Rix's failure in the lottery of sudden-death is probably remembered more vividly, but Brady's earlier miss haunted him for a while. "I'd wake up in a cold sweat thinking about why I didn't put it in the other corner. People talk to me now about a certain game I played in, or a certain goal I scored, and I've no memory of it. But I've never forgotten that penalty." He was Giles's natural successor as the brains of the international team, he had won the English PFA's Player of the Year award in 1979, and he was Arsenal's linchpin, but he was restless. If Arsenal finished in the top six of the league, if they made it into Europe or if they reached a cup final, the board was happy enough. At the time, his ambition was far greater than the club's. Manchester United were an option and he and Dave Sexton talked terms over a private lunch at the Burlington Hotel where a nervous waiter had to be sworn to secrecy about the meeting. However, Italy had re-opened their borders to foreign players and eventually Juventus's advances proved to be the most alluring. This was the Juventus which would boast Dino Zoff, Claudio Gentile, Gaetano Scirea, Antonio Cabrini, Marco Tardelli, Paolo Rossi and Roberto Bettega during Brady's two seasons in Turin. A multi-talented group of players which dominated Serie A before driving Italy to World Cup success in 1982. Initially, he sensed a doubt among the club's directors. "Our first league game in the 1980-81 season was in Cagliari in September and it was boiling hot and I couldn't raise a gallop. But by this time I'd picked up some of the language and one of the directors was getting on the bus and asking how Inter Milan, who were the reigning champions, had done. They'd won 4-0 and Inter had signed the Austrian Herbert Prohaska and I think he might have scored. So I heard the guy say, 'We made a mistake with our foreigner'. I remembered that when he was putting his arm around me at the end of the season after we'd won the championship." Juventus managed to compensate for Rossi's suspension following a match-fixing scandal, but when Bettega had injury problems during Brady's second year, they were not as potent in front of goal. However, under their outstanding coach, Giovanni Trapattoni, another league title was in sight. Then out of the blue, Brady got a call from Dennis Roach, an agent he knew in England, who said he might be able to help him get fixed up. "Fixed up about what, Dennis? ", Brady asked him. "Don't you know? Platini's in and you're out." He couldn't quite take it in. Couldn't believe it. He sounded Trapattoni out after training, and while the coach denied any knowledge of Michel Platini's arrival, Brady knew he knew. He then talked to Bettega and reckoned he knew as well, before the chairman Boniperti made it official. "I realised then it was the owner Gianni Agnelli's call, and what Agnelli wants, Agnelli gets. To be fair, he wasn't a bad judge, but it was a crushing blow at the time, and I did feel somewhat betrayed after playing so well. I realise I was replaced by someone who went on to become arguably the best player in the world, but I'd played against Platini in the 1978 and the '82 World Cup qualifying campaigns and he'd come out on top largely because of refereeing decisions. So, at the time I didn't feel inferior to him." He could have pouted, but instead he managed to turn a bad situation around. There were three games remaining in the league and Brady played superbly before scoring a penalty in the last match against Catanzaro which gave Juventus the title by a point. "Since then I have this reputation among people who follow football closely in Italy as the ultimate pro. I didn't deserve it, but I got it." Now he and his wife Sarah had a decision to make. To return to England or to stay? As a couple they had settled well in Italy, and as a player, he had proved himself. In the end, Sampdoria with its billionaire owner, Paolo Mantovani, and his ambitions for the Genoese club, turned his head. ater in that summer of 1982, after a shambolic Ireland tour which included defeats to Brazil and the mighty Trinidad and Tobago, Brady sat in Gibney's pub in Malahide and watched Italy, with his former Juventus teammates, defeat West Germany in the World Cup final. "It was bittersweet. I was really delighted for the lads at Juventus, but that was it, I was moving on, I wouldn't be playing with them any more. I stayed in Italy because I was in probably the most competitive league in the world at the time, and I reckon I was earning 10 times what I'd been earning at Arsenal. Italy set me up financially for life. I've no problem saying I didn't go there just for the challenge." Two years in Genoa were followed by another two at Inter Milan alongside KarlHeinz Rummenigge, Alessandro Altobelli, Giuseppe Bergomi, Fulvio Collovati and Walter Zenga. There was more pressure, more expectation than at Sampdoria, but there was always the rush of performing in the San Siro. "Our coach, Ilario Castagner, wasn't strong enough, he wasn't up to it, and we blew the title in my first year. Trapattoni came to Inter later and if he'd been there that season, we would have walked it." After Inter, he moved to Ascoli and then finally to West Ham. A day after shaking hands with the then West Ham manager, John Lyall, Celtic made him an offer, but he stuck to his deal with Lyall. Glasgow would come calling again. In 1991 after being told he had the manager's job at Celtic, he was watching the early evening news on the BBC with Sarah, and one of the items was about his appointment. "It was the bloody news, not the sports news, and Sarah looked at me as if to say, 'Sure you know what you're doing here?'" There was an infamous 5-1 defeat by Neuchatel Xamax in the Uefa Cup, but by the end of the first season, which had included a long unbeaten run, he felt he had justified his position. Off the pitch, Celtic were in debt, the board was riven by warring factions, and matters quickly came to a head with the chief executive, Terry Cassidy, who during a meeting once handed Brady a slip of paper with a team written on it. "As far as I was concerned, this guy knew nothing about football, so I got up and walked out. For a while it was him or me, but the board managed to gloss over it. Still, there was a distinct atmosphere between Cassidy and myself, and between me and some of the directors as well, so I knew I had to get it really right on the pitch, or else I was going to be in trouble." His signings included Tony Cascarino from Aston Villa, Stuart Slater from West Ham and Andy Payton from Middlesbrough, but all three failed to break Rangers' dominance. "No, I didn't buy well, and you live and die by your purchases as well as your results in the eyes of the fans. I genuinely believed I had the knowledge, so it was a rude awakening. I was too inexperienced to handle it, but Celtic turned out to be a manager's graveyard for several who followed me. "Glasgow is a demanding, aggressive city, and although I didn't achieve what I'd hoped to, I've no regrets about that particular period of my career. To have managed a winning team in an Old Firm derby is something no one ever forgets." He resigned from Celtic, threw himself into Brighton for a couple of years, but it too was a club in turmoil, then in early 1996 after Charlton had gone, the FAI's Louis Kilcoyne rang to sound him out about the Ireland job. "Louis was wondering why I hadn't applied and I was telling him that I didn't think I had a chance. He said the FAI wanted to consider me, so I agreed to go for an interview as long as the whole thing was discreet and confidential." Brady drove into the car park of a Heathrow hotel just before the appointed time to be greeted by a media scrum, and as he walked into the foyer, Joe Kinnear was walking out. "It was laughable, a complete shambles, a beauty contest for the guys in the blazers, but I decided I'd go in and see what was going on. It later emerged that Kevin Moran was lined up for the job, but a couple of people jumped ship at the last moment and went with Mick McCarthy. That's the FAI for you." He probably would do the Ireland job if he was offered it, but it's definitely not an ambition. Right now, he's more concerned with producing a few young players who, like Ashley Cole, are talented enough to emerge from Arsenal's youth programme into the glare of the world game. If you sat with him over a couple of glasses of red wine tomorrow evening, he'd tell that of all the players he played with, Alan Ball, Stapleton and O'Leary stood out at Arsenal, Scirea and Rummenigge were superb in Italy, while Giles and Paul McGrath were also special. Of the coaches? "Don Howe, Giles and Trapattoni, that's it. They'd no favourites, no allegiances, they relied on knowledge and motivation, and their passion for the game got through to players." He's thinking ahead to how Cerium will run at the Cheltenham festival, and to the Ryder Cup at the K Club. That's what made him different from so many other good players . . . always thinking about what he was doing. Some relied on instinct alone, with Brady there had to be a reason. "I've always admired Liam, he's my type of player. But perhaps Jackie thinks differently." Charlton obviously did think differently, but you still get the feeling that Beckenbauer was right. 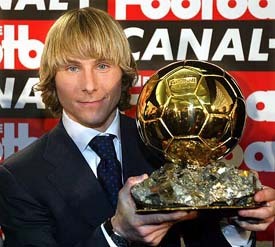 Pavel Nedved is an excellent player who has demonstrated leadership and great fighting spirit when on the pitch. A left sided midfield player with tremendous skill, vision and pace packed with a venomous shot, Juventus has bought him for 41.2 million euros from Lazio. Pavel Nedved surely belongs to the soccer legend category in the Czech Republic as his brillant performances help promote Czech Republic as a footballing nation. In 1996, Czech Republic benefited from his play as they were taken to the Euro 96 England final, only to lose Germany with a scoreline of 1 - 2 on the Golden Goal rule after having taken the lead in the second half. Pavel Nedved enjoys playing for his country and was bitter that Czech Republic didn't make it to the World Cup 1998 and 2002 and managed only the group phase in Euro 2000. His diligent and relentless play finally paid off when Czech Republic has booked a ticket to Portugal in Euro 2004. At 1st he struggled a bit when playing for Juventus, but as time goes by, Nedved is comfortable with his position, especially with his role in the centre middle assigned by Lippi. This is where all his attributes are showcased. His free kicks and corner kicks r also deadly to watch. However a booking caused a suspension for him in the CL Final in 2002 - 2003. This is where Pavel's presence is really felt. He scored 8 goals in the 2002 - 2003 season, lifted the scedutto and eventually won the 2003 European Footballer Award among fierce competitors. The team continued to do well for the 2nd half of 2003. For some weird reason, the team crumbled in 2004 due to the aging defence as goals begin to leak everywhere. In between March and April of 2004, Marcello Lippi has announced that he will leave Juventus. This created a deep impact on not only Nedved, but on the team as a whole. This has definitely rubbed salt in Juventus' wounds as Juventus finished 3rd in the Seria A and having no silverware. They lost to Lazio, Nedved's former club, in the Coppa Italia final by a Corradi goal. The Czech Republic player is also the captain of his country as he plays in the LCM position, where his skills, techniques and leadership are showcased as he led Czech Republic to the semi finals in Euro 2004. Czech Republic has argubly some great players in their team with names like Rosicky, Jankulovski, Poborsky, Cech and the list goes on. Czech Republic was grouped with Netherlands, Germany and Latvia in Group D, earning the nickname "Death Group". He played great in Euro 2004, grabbing important victories against Netherlands (3 - 2) and Latvia (2 - 1), topping their group and advancing to the 2nd round, where Czech Republic demolished Denmark 3 - 0. This has also aided Nedved in earning a spot in the Euro 2004 all star squad. An untimely injury against Greece which not only costed a position in the finals but also wrecked his form. The morale of the entire team has dropped drastically as they fight for the game without Nedved. In the end, they lost to a Dellas header amidst confusion in the penalty box after a corner. This is shown in the 2004 - 2005 season, where injury almost destroyed the player. Moreover he is put in the LD position. This isn't the place where he excelled and his form deteriorates. He had a mix of good and bad games. Despite his dip of form, he runs a lot and help out the defence even though it isn't his day. His free kicks and corner kicks also contribute a significant bit to Juventus 28th scedutto. This is the year in which he announced his retirement from International football to help Juventus with the CL. He has also announced that Juventus will be the place where he will retire. Nedved's World Cup journey ended prematurely. Despite being boosted with enormous talent, age has come to most of the players of the golden generation and Koller's untimely injury costed the team dearly. Speculations are present to predict that Czech Republic will be in the 2nd round after a convincing 3 - 0 victory over USA, the team fell to a suprise defeat to Ghana and they have an uphill task against Italy. Nedved tried to lead the team to defeat Italy, to rub salt on the wounds, Jan Polak was sent off at the final minute of the first half. Nedved has been inspirational trying to trouble Italy, however the Italian squad knows him too well and all his shots are tamed effortlessly by Buffon, ironically his Juventus teammate. Nedved's international career ended in a sour note, but many of his Juventus teammates console him and he says in an interview that he will support Italy to win the world cup, with them turning out to be the eventual winners. Juventus has been relegated to Serie B after the verdict of the Calciopoli scandal. Nedved choose to stay in Juventus and has shown keen interest in new coach Didier Deschamps'' reforming project where most of the players will retire from football and enjoy life or look for new challenges. He has even sent a message to Secco saying "I'LL BATTLE WITH YOU!!". This is welcoming news for Juventus fans and players, as they have another leader with vast determination and experience on the pitch to help them in the promotion for Serie B. Buffon, Del Piero, Camoranesi, Trezeguet, Zebina and Chiellini also pledged to have the team out in this difficult moment. The adventure in Serie B proved to be turbulent, as Juventus begins the league with 9 points deducted and drew with Rimini 1-1 at the start of the season. All Serie B teams relished the chance of playing against an Italian giant and strived to perform their best. Nedved was planning on retirement at that moment. To make it worse, he was banned for 5 games after being sent off. Despite having his negative moments, he demonstrated his skills and leadership to help Juventus, eventually earning the Serie B title and promotion up to Serie A. Nedved persisted on playing for Juventus in the hope of winning the Champions League trophy with Juventus. The 2007-2008 season was marred with refereeing controversies. Nedved played frequently for the Bianconeri and became the team’s first choice left winger at the age of 35. Nedved unintentionally tackled Inter Milan player Luis Figo, with the latter resulting in an injury. The spotlight of the season was on Serie A referees, but Juventus secured third place and earned a spot on the Champions League qualifiers with a thin squad. Juventus returned to the Champions League in the 2008-2009 season. However the team is blighted with an injury crisis in the early half of the season, a situation so bad that Juventus had enough injured players to form another football team. Juventus coach Claudio Ranieri prefers Nedved instead of young sensation Sebastian Giovinco to play. Nedved’s age has really shown as he lacks speed. However Juventus did themselves proud in the Champions League, including a double victory against Real Madrid and narrowly missing out on the quarter finals after a brave encounter with Chelsea. The second half of the season was worse due to lack of form and Juventus missed out on the Coppa Italia when the trophy was there for Juventus to take. Eventually this lead to the sacking of coach Claudio Ranieri to be replaced by caretaker coach Ciro Ferrara. Nedved played his final game in Stadio Olimpico against his former club Lazio. Nedved was given the captain armband for this game and played like a warrior, appearing everywhere on the pitch. Whenever Nedved touches the ball, the crowd will cheer very loudly. Teammates passed the ball to Nedved to let him score on his final game. In the second half, Nedved selflessly assisted teammate Vincenzo Iaquinta for his second goal of the game and everybody hugged Nedved for the contribution. When Nedved was substituted in the 83rd minute, everybody hugged Nedved again, including Buffon, who ran all the way from his goalline and hugged Nedved and the Curva gave him a standing ovation. At the end of the game Nedved returned on the pitch with his teammates to salute the fans, with each of his teammate wearing the Nedved jersey. At the same time Nedved announced his retirement from football. Nedved ended the 2008-09 season with 7 goals as Juventus finished second, gaining an automatic Champions League spot. Nedved has definitely cemented his spot as one of the great legends in Juventus and Czech Republic. His fighting spirit and dedication the teams he played for are never questioned as he always tries his best. Serie A will miss another great legend. I wish you the best of luck in your future endearvours. Zinedine Yazid Zidane was born on June 23rd, 1972, in Marseille, France. At his peak, he was considered the best football player in the world. At his peak, he wore the black and white of Juventus. Nicknamed Zizou, Zidane’s talents lie mostly in his awesome close control of the ball and the wonderful vision and technique in his passing. Perhaps most famous for his role as the creative genius who was the focal point of the French teams that won the World Cup and European Championship back to back in 1998 and 2000, Zidane also played over one hundred and fifty games for Juventus around that time, winning a couple of league titles. He made consecutive finals of the Champions League, but he would have to wait many years more before he got to kiss that trophy with Real Madrid. His first professional club was AS Cannes, with whom he spent four years, before moving to Bordeaux. His early progress was unspectacular, but he was always considered a great prospect. He had spent two years at Bordeaux before he was selected to play for France. At that time, France was in the doldrums internationally, considered perennial also-rans, much like Spain today. Worse, they had failed to qualify for the World Cup in 1994, the second consecutive World Cup they had missed out on. He would change that. From the moment Zidane was substituted onto the pitch against the Czechs that day, France were never the same. He scored two goals in the last five minutes to pull an unlikely 2-2 draw out of his hat. He’d do that again a few times before he was done playing for France. In 1996, having made the UEFA Cup final with Bordeaux, he joined Juve, a worthy successor to playmakers past, not least his countryman Platini. Juve won the league the next two seasons running, Zidane partnering his countryman Didier Deschamps in midfield. In the same period, Juve twice fell at the final hurdle in the Champions League. "When we don't know what to do, we just give it to Zizou and he works something out." - Former France team-mate, Bixente Lizarazu. In the final, he scored a brace of headed goals against Brazil, sealing the tournament for France. Nine months later, that there was a surge of babies born in France, many of them named Zinedine! Two years later, the marauding French returned to conquer Europe. Zidane’s balletically inspirational form made him the clear player of the tournament. His performances in the last eight against Spain and semi-finals versus Portugal were particularly virtuoso displays. Against Portugal, he coolly struck a penalty in the top left corner under enormous pressure in the second last minute of extra time. Zizou had turned France into champions. Undoubtedly, Zidane was the star player of 1998 and 2000, and this was recognised with a Golden Ball in 1998, FIFA World Player of the Year in 1998 and 2000. In 2001, Real Madrid signed Zidane from Juventus for a world record transfer fee of €66million. That season, he won the Champions League, scoring one of the finest technical goals the Champions League has ever seen. A poor cross from the left looked too high for him, and at too awkward an angle, but from twenty-five yards out, he volleyed sweetly with his left foot into the top left corner of the net. He won the league with Real Madrid the following season, and has played with them since. Burdened with the weight of recent history, and with the team rebuilding after the retirements of the likes of Deschamps, Blanc, Lizarazu and Desailly, success with France proved more elusive thereafter, but Zidane remained the focus of the team, the guy everyone looked to for inspiration. And wow, but he could be really inspirational. At Euro 2004, he single-handedly wrung one of the greatest international comebacks ever with two injury-time strikes against England in France's first game of Euro 2004. Zidane’s period at the very top was brief, but he made a huge impact on the psyche of French football. In a country where racial tensions were high, he was a famous and loved public figure in spite of being a Muslim of Algerian extraction. He is by all accounts a humble and friendly person. John Healy, 27/04/06, written after Zidane announced his impending retirement. Banned for his alleged involvement in a match-fixing scandal, Paolo Rossi spectacularly ended two years out of the game by inspiring Italy to victory in the 1982 World Cup. A lithe, skillful striker, Rossi had been marked down as one of Italian football's brightest young talents after a series of impressive displays for the Azzurri at the 1978 tournament. Quick in thought and deed, 'Pablito' had formed an intuitive partnership with Juventus' Roberto Bettega in Argentina, one that seemed destined to flourish for years to come. But in 1980, Rossi's world fell apart. Playing for Perugia against Avellino while on loan from Lanerossi Vicenza, he scored twice in a match that finished 2-2. Yet when it emerged that the result had been fixed, Rossi was hit with a three-year ban, though that was later reduced to two. Despite being out in the cold, he was bought by Juventus for $700,000 in 1981. Critically short of match fitness, Rossi was nevertheless recalled to the Italian squad as soon as his suspension ended on April 29, 1982, less than five weeks before the start of the World Cup. "I knew that if Rossi wasn't in Spain I wouldn't have had an opportunist inside the penalty box," said Italy coach Enzo Bearzot, explaining his decision years later. However during the first phase in Spain, it looked as if Bearzot's gamble on Rossi's fitness was going to backfire dismally. Another sterile performance against Cameroon, again 1-1, and Italy's press immediately began pointing the finger at Bearzot and his out-of-form striker. With time running out, Rossi played well in the Italians' opening game of the second round group phase, involved in the first goal as Argentina were beaten 2-1. Suddenly, against Brazil in a match Italy had to win to reach the semi-finals, Rossi found his goalscoring touch. A well-taken hat-trick sent favourites Brazil to a 3-2 defeat and Italy were in the semi-finals. Rossi later described his first goal against Brazil, a perfectly timed header to connect with a cross from the left by Antonio Cabrini, as one of the most important of his career. "It freed me psychologically and also increased my motivation. Like all strikers, once you get a goal you want more as soon as possible," he said. From that point on Rossi was unstoppable. Both goals in the 2-0 semi-final victory over Poland and the opening goal in the 3-1 win over West Germany in the final saw Rossi finish as top scorer and player of the tournament. In the mid-1980s Rossi enjoyed great success with Juventus, winning the league, cup, Cup Winners Cup and European Cup against before moving to AC Milan in 1985. He returned for his third World Cup finals in 1986, but by then a series of injuries had taken their toll and he failed to make a single appearance. Over the course of a career that included three World Cups, Michel Platini’s midfield artistry earned him the right to be regarded as the finest French footballer of all time. Beautifully balanced, Platini’s principal weapons in a formidable arsenal were wonderful awareness, a laser-guided passing ability and an unfailing accuracy from free-kicks. Born in 1955, the grandson of Italian immigrants, he had schoolboy trials with Metz, where he was rejected for not being strong enough, before being snapped up by the club’s rivals Nancy. He made his first international appearance in 1976, scoring on his debut against Czechoslovakia and cementing his place in the French team for the World Cup two years later. Though giving flashes of class, Platini struggled to truly give full vent to his talents as France exited in the first phase after losing their two opening matches, against Italy (2-1) and hosts Argentina by the same score. Marked into anonymity by the Italians, Platini had more success against Argentina. He scored his first World Cup goal to equalise, and twice created clear chances for Didier Six, who missed each opportunity. With pride restored in a 3-1 consolation win over Hungary, Platini returned to France and the following year transferred from Nancy to Saint Etienne, having scored 98 goals in seven seasons. Playing for St Etienne, Platini flourished and had firmly established himself as French football’s most exciting talent by the time of the 1982 World Cup. Platini excelled in Spain as France started slowly before gathering momentum and reaching the semi-finals, where they were to lose to West Germany penalties after thrilling 3-3 draw. Despite the bitter disappointment of that defeat, Platini departed as Man of the Match and one of the players of the tournament, the leading light in a wonderful midfield which also featured Jean Tigana and Alain Giresse. Following the World Cup, Platini was transferred for $1.7 million from St Etienne to Juventus, where the Frenchman was to inspire the Italians to three league titles in four seasons. 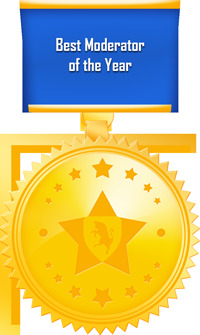 His spell at Juventus also saw him recognised as European Footballer of the Year. Two years after his move to Turin, Platini enjoyed the highpoint of his international career, inspirationally captaining France to victory in 1984 European Championship. At the peak of his powers, Platini scored nine goals in five matches in the tournament, lifting him past Juste Fontaine as France’s all-time leading scorer. At the 1986 Mexico World Cup, Platini’s performances again helped make France the favoured side of most neutrals. In a thrilling quarter final against Brazil, Platini scored and missed in the penalty shoot-out before the French advanced to the semi-finals. There was to be no World Cup coronation for the King of French football: Platini and France were beaten 0-2 in the last four by West Germany in a repeat of their 1982 meeting. In 1987, Platini bade farewell to football with a performance for the Rest of the World against an English football league side at Wembley, retiring with 72 caps and 41 goals. After France’s failure to qualify for the 1990 World Cup, Platini returned as coach of the national side, leading France to the 1992 European Championship finals, where they were eliminated in the first phase. Cheers ReBeL. I'll add those when I have more time. Why were the first articles in this thread deleted?? Because Erkka thinks he's a supreme being and no one is there to listen to his teachings. Reserved and silent, almost to unbelievable lengths, Roberto Baggio has spoken openly with few people. They were always the same, those he thought it right to trust. Born On the 18th of February, 1967 and brought up in an old house opposite a petrol station, he shared a room with seven brothers and sisters and was happy when his mother made pizza. Roby never changed. Football never led him astray. Incompatible with a world built on image and business, on appearances which were futile, useless, exasperated and devoid of values, he chose to play only a marginal part in it. Baggio used to play and still plays football because he enjoys it, the rest is not important and nor is popularity. And yet, with his magic on the field, looks loved by women the world over, and his humble ways, he did not and still does not go unnoticed. Roby's career began in the place where he had been there for 9 years. Just after a few matches, Roberto had become a little star, always scored. At the end of a game in which he had 6 goals, a scout Antonio Mora persuaded him to join Vicenza, a Serie C team at that time. However, under the coach Cad, Baggio didn't have much chance to play, and his first season just went pass. But a good news was that a new man arrived in the next season, Baggio therefore had more chances to play, he then gave his first career goal to Bruno Giorgi as a present, thanked the coach for putting him in a such important place. Furthermore, his good performance in this season brought him an under 16 national team place. The 84-85 season, Baggio was on track, he got 12 goals in 29 league games, this helped Vicenza to climb to Serie B. But on the 3rd of May, Roberto went pass Serie B, joined a Serie A team, Fiorentina. Baggio finished his first season in Fiorentina quietly. But in the next season, he finally took part in a Serie A game on the 21st of September, 1986, against Sampdoria. However, he hurt his knee in this season! Oh God! This is unfair, Baggio had just got a chance to show his talent, and now......wait a minute, he scored his first Serie A goal in the game vs Napoli on the 10th of May, 1987, not bad then! At least had a goal! Good things continued to come, in the next season, he totally recovered, and had 9 goals. On the other hand, he was called by national team for the first time in November, 1988, to play in Rome against Holland. Moreover, everyone will get married one day, and no exception for a soccer player, Roby stopped his long run with girl friend Andreina, formally became a couple after the end of this season. The following season, Baggio finished beautifully with 17 goals in 32 league matches. He also took the team to the final of UEFA Cup, but they were beaten by a Torino team, Juventus, couldn't bring the cup back to Florence. The UEFA Cup winner Juventus, however, signed Baggio with a world record transfer fee -- US$17 million, it was about 7.5 million pounds. But this announcement made Fiorentina fans angry, caused riots in the streets. Anyway, Baggio's great form gave him a place in Azeglio Vicini's Italian national team in World Cup '90. However, as he was not brought up by Vicini from junior team, in Italy's 1-0 winning first and second match, there was no Baggio. But these poor results forced the coach to change. In the last match in the first round, Baggio and Schillaci partnered in front aimed at beating Czechoslovakia. They successfully combined together! And Roby scored the best goal in this tournament. After that, Italy went into the semi-final against Argentina. Before the match started, Vicini told Baggio that he was to be in the bench when the game began, the reason was he looked tired, but Roberto rebutted "I am 23! I will have eaten grass to play." No effect, he only played in the second half. 120 minutes over, the result was still leveled, penalty! Baggio luckily scored 1. But the game belonged to Argentine goalkeeper, who kicked Italy out......the host only got a third place. Forgot about the sad memory in the World Cup, Baggio had a good start in Juventus, he scored 14 goals in 33 league games. On the 2nd of December, his wife brought a third person! Calm down, she just born their first child, Valentina. In the next season, Roberto played in 32 Serie A matches, got 18 goals. 92-93 seoson was Baggio's best season in Juventus, he put the ball into the net 21 times in 27 league games. Baggio also led Juventus to play in the UEFA Cup, he took part in 9 games and scored 6 goals, and Juventus became the champion, this was Roberto's first major title that he had ever won. The following season, Baggio gave his 100th Serie A goal to Genoa. In December, he was recognized by the World, he became the European footballer and World's footballer. Baggio scored 17 goals in 32 league matches this season. In May, 1994, shortly before the World Cup, his wife born their 2nd child, named Mattia. In World Cup '94, Roberto's ponytail and his excellent goals brought him a lot of supporters. Could enter the final was a good news, but Baggio hurt his thigh during the semi-final, and quite serious, the doctor told him not to play in the final. But he didn't want his fans disappointed, so he ignored his injury, went into the field again. However, his hurt thigh held him down, he couldn't find a way to score, but the most unfortunate was that during penalty shootout, Baggio missed the most important kick, therefore gave the cup to their opponent -- Brazil. Since then, the relationship between him and Sacchi has been worsen. The injury from the World Cup made Baggio only played in 17 league matches and only got 8 goals. Although Juventus won both Serie A and Coppe Italia, the team moved towards Del Piero. And they said if Baggio accepted a decrease of 1/3 of the original salary, then he could stay. But he chose to leave, to either AC Milan or Inter Milan. Finally, on the 6th of July, he moved to the red and black AC Milan. Roberto Baggio remains a Bianconeri legend. He scored more than 100 goals in Serie A, won trophies, large and small, and enjoyed success with the national side. There are goals which have characterized the story of this shy and introvert ace, goals scored with different clubs and on all pitches. Baggio played his final match on 16 May 2004, with Brescia against an A.C. Milan led by his former teammate Paolo Maldini, when he left the field in the second half, all the players, coaches and staffs from both teams, as well as all the spectators at the San Siro Stadium gave him the biggest standing ovation to farewell one of the greatest football player in football history. His remarks have gone down in history too. Unexpected, coming out of nowhere and never incidental. There was always silence after a wisecrack: he loved silence as much as he loved spending the time when he wasn't playing football at home. His mother's pizza, a father who dreamed of seeing him become a cyclist, a wife he met while driving about on his motor bike under her balcony at the dawn of his first love, and two children he wanted more than anything else in the world. Behind the door of his house in Caldogno, among the trees that he loved, there was also his God: his relationship with his faith, with Buddha, who inspired him to grow, recognizing his faults and urging him on to overcome them. He tells his friends that "since he has known Buddhism, a magic sleep has returned..."
The story ends here, but his legendary will live forever in the heart of all football fans.